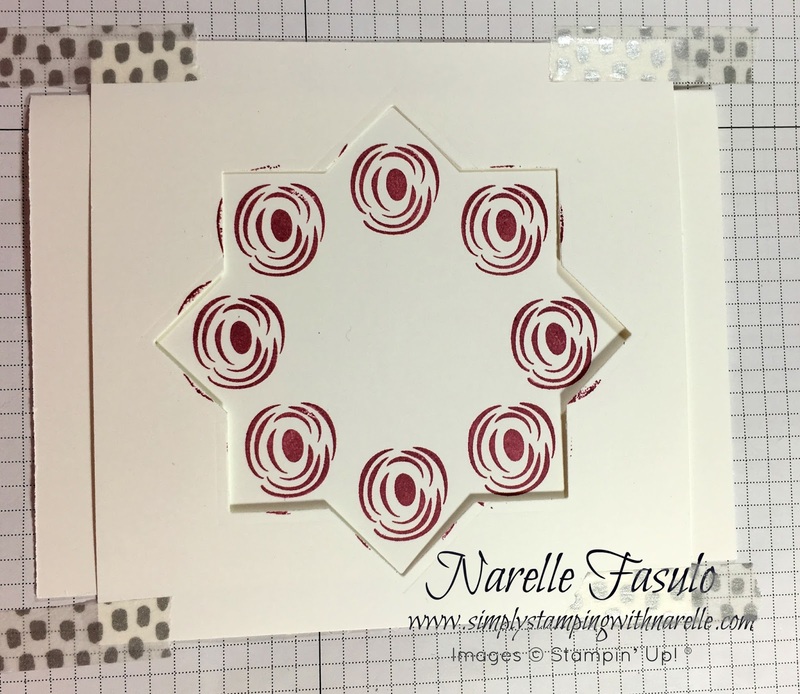 If you are a regular visitor to my blog, you would have noticed that I love stamping wreaths when I get my hands on a floral stamp set. 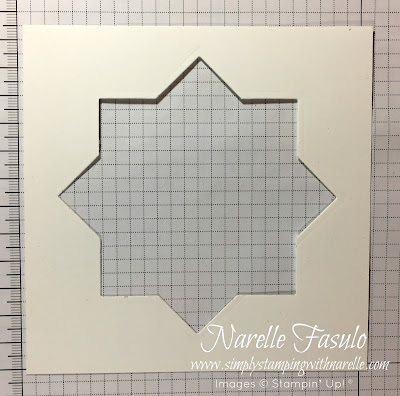 So my interest was piqued when on a facebook group I am on, I saw mention several times of a wreath building template. 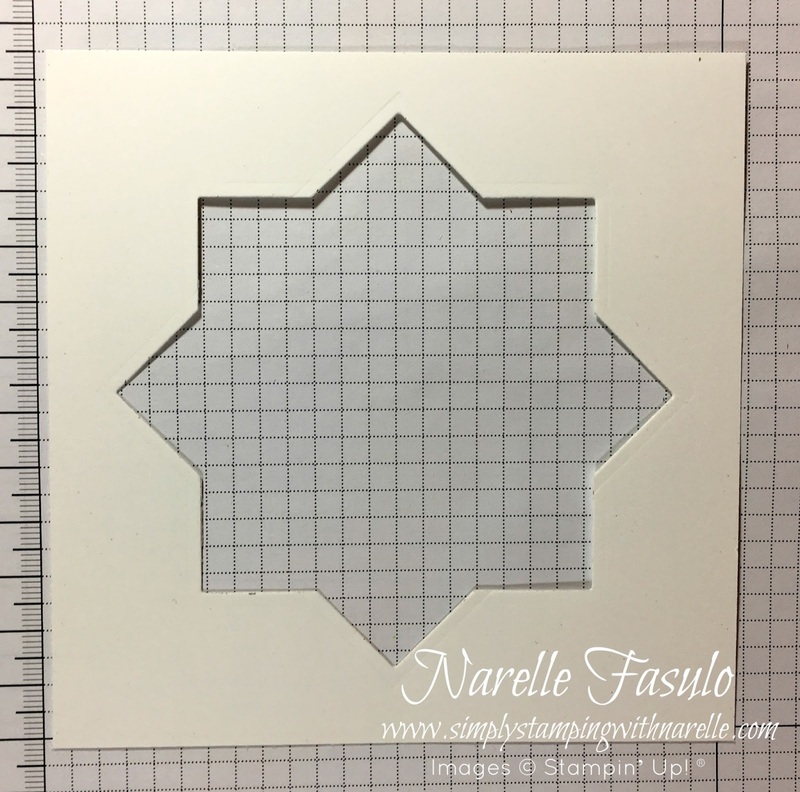 I found a popular one for sale, but of course it's not made by Stampin' Up! so I won't buy it....lol..instead I made my own. 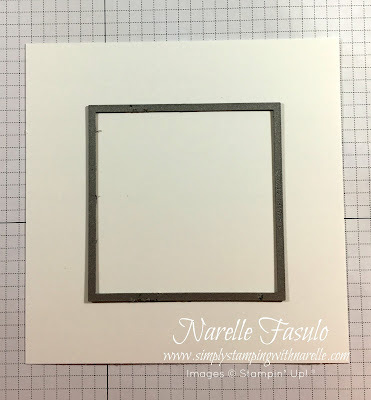 The card I shared yesterday was the first time I used this template. Here is a reminder of yesterday's card. And this is how you make the template. 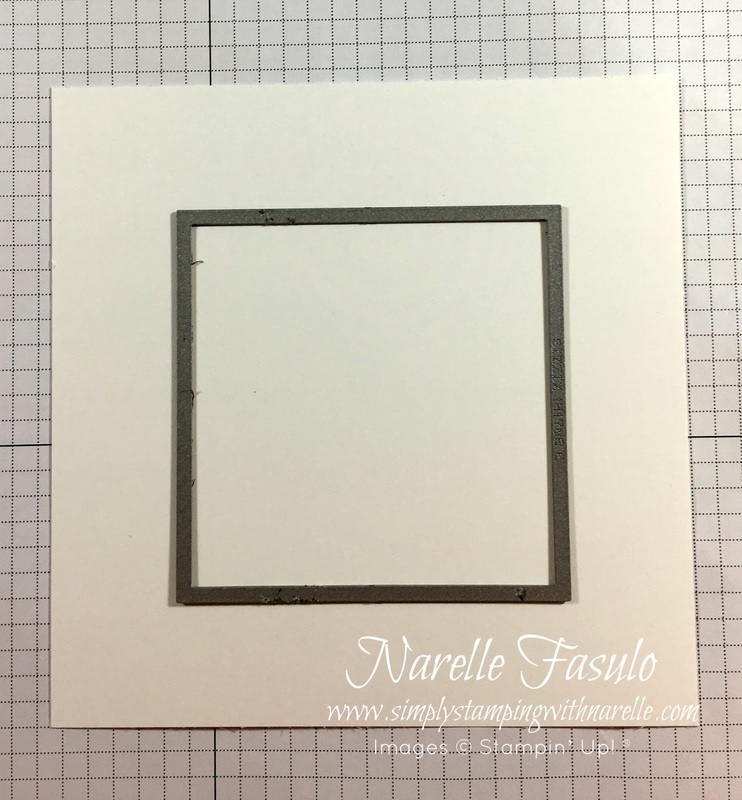 Start with a square framelit on a piece of card stock. 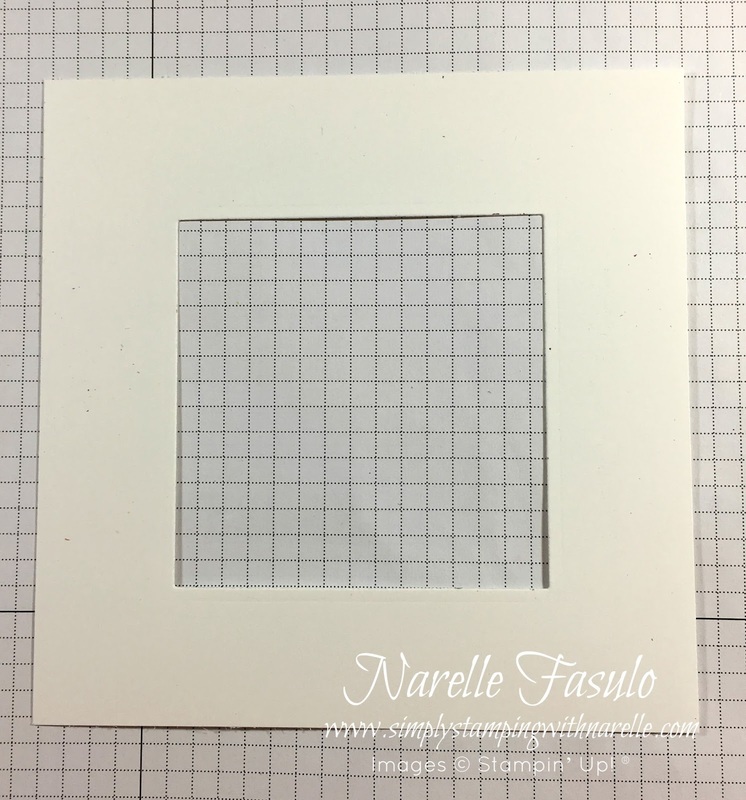 Make sure that the card stock is big enough to have a large border around the framelit. Put the framelit back on the card stock, but rotate is 45 degrees. 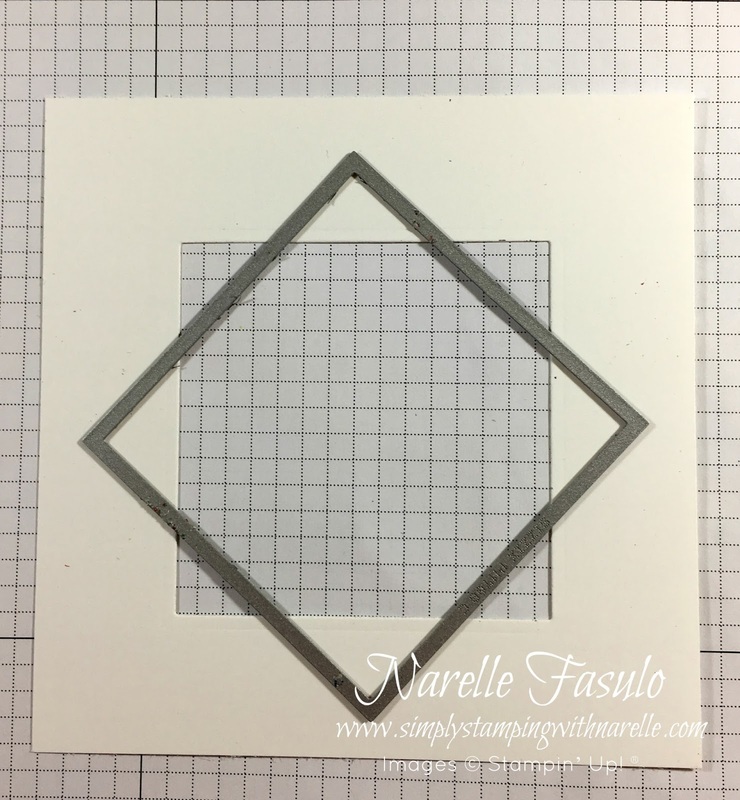 When you cut it out, you will end up with the completed wreath building template. This is how you use this template. 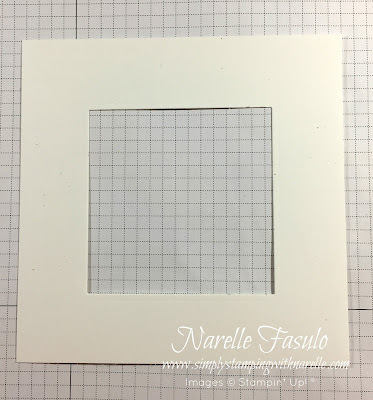 Put your card front onto your work surface and place the template where you want the wreath to be. 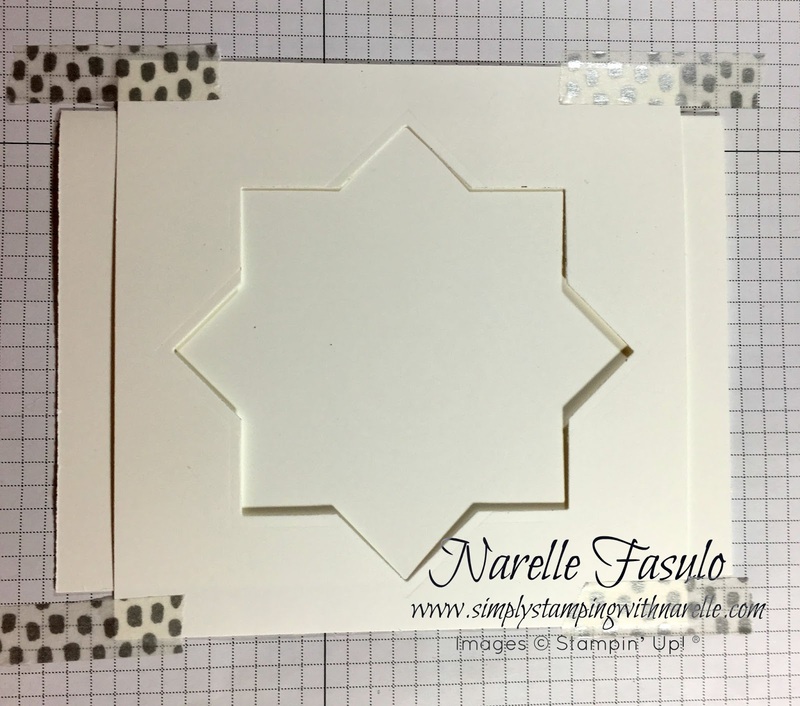 I suggest holding the card front and template in place using washi tape. 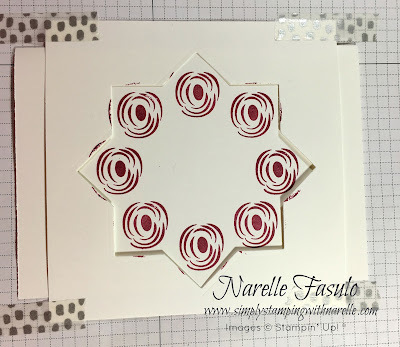 The idea is to stamp your main flower in each of the corners. 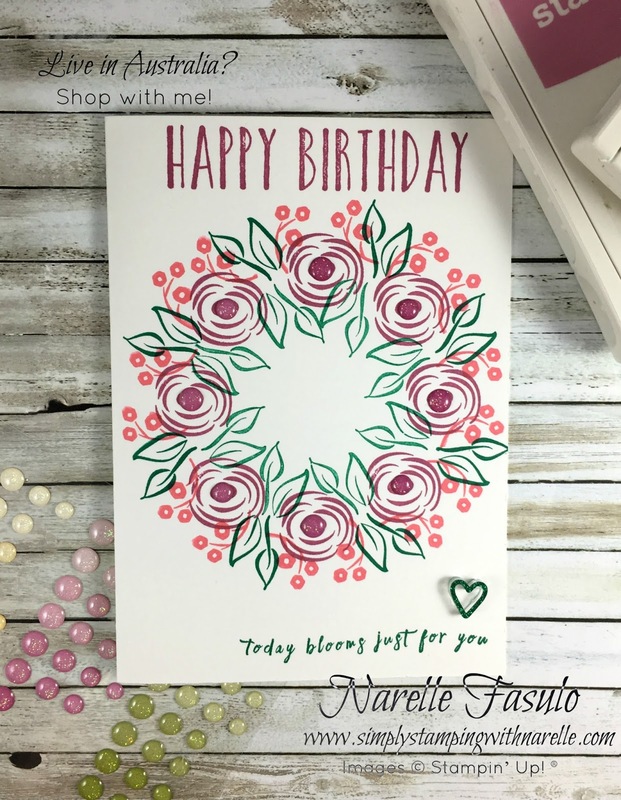 Remove the template and fill in the wreath with your other flowers and leaves. Now the beauty of this template, is that you can make it to any size you want. 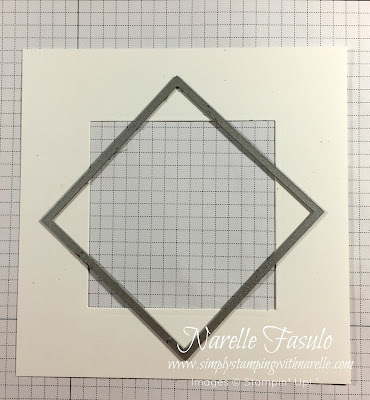 You can make large templates and small templates, and any size in between. I hope you have enjoyed this little tutorial. 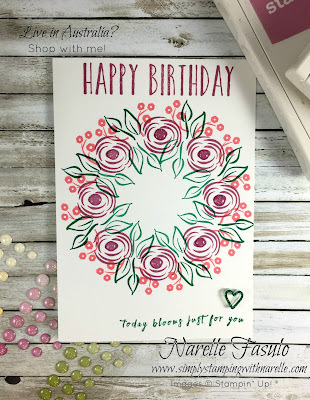 If you make your own tutorial and then some wreath cards using it, I would love to see them. Just contact me using the form on the right and I will let you know how to get the pictures to me. That is GENIUS! Thanks so much for sharing...I cannot wait to try this!